Among the most durable golf shirts of the 1990s were the pique polos found at the Gap, with solid colors and a fairly thick waffle-like weave that stood up to hard wear and washings. Today, with its Spring 2017 men’s fashion releases, Antigua is introducing a “deconstructed and then reconstructed” pique fabric, with styles that echo the classics of times past. With a new yarn filament count and spandex content, the company is calling the cloth “Perfected Pique,” and markets it as a luxury counterpart to Antigua’s top-selling Pique Xtra-Lite. Soft and yet sturdy, these shirts come in a wide variety of colors and feature fairly low-key patterns in several featured styles, which include the Endure, the Revive, Adept, Revive and Channel. Some are solid colors, some have distinct stripes while others display what looks like a pixelated blur. 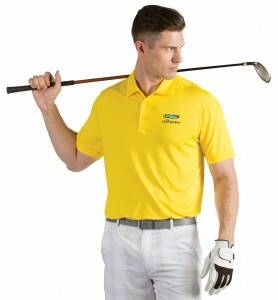 Retail prices on these polos range from $65 to $75.